In Atwater, California a truck driver was nearly hit by the train after truck gets stuck on the tracks. 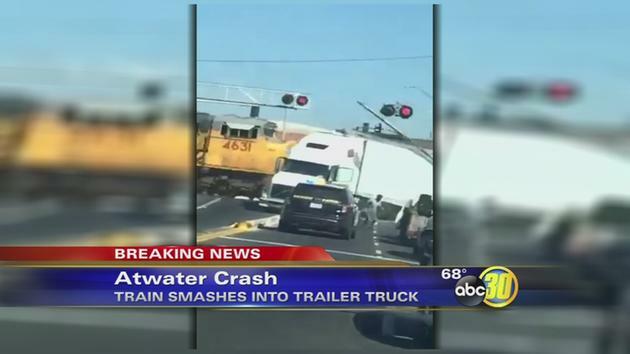 An abc30insider captured the moment a train smashed through a truck in Atwater. The driver had just seconds to escape.